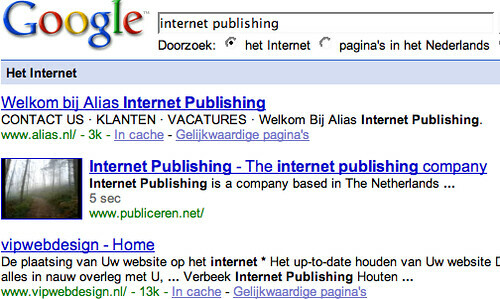 Home > Google News > Google SEO > Trick Google into Placing Video Icon Image Near Your Search Listings? It appears Google thinks there is a video result on that site. It is using the Google Universal Search interface and seems to mistakenly think there is a video result. So this site must be getting some great exposure by being at the number two spot but with a thumbnail image making it stand out. Which leads me to ask. Is there a way to trick Google into doing this on any site? To see true video results in Google search, search on star wars kids and you will notice if you click on the result, it takes you to YouTube. How did this site manage to pull this off? Did they use video site maps? Did they bait and switch the page by pulling off videos? Did Google just misclassify the site some how?